Since there are a lot of divers in todays watch industry, I decided to write a little story about one that truly stands out in the crowd. A watch that serves its purpose with every aspect of its design. The watch I would like to discuss is the great and legendary dive watch of ZRC Grand Fonds. An icon in the purest form possible if you ask me. 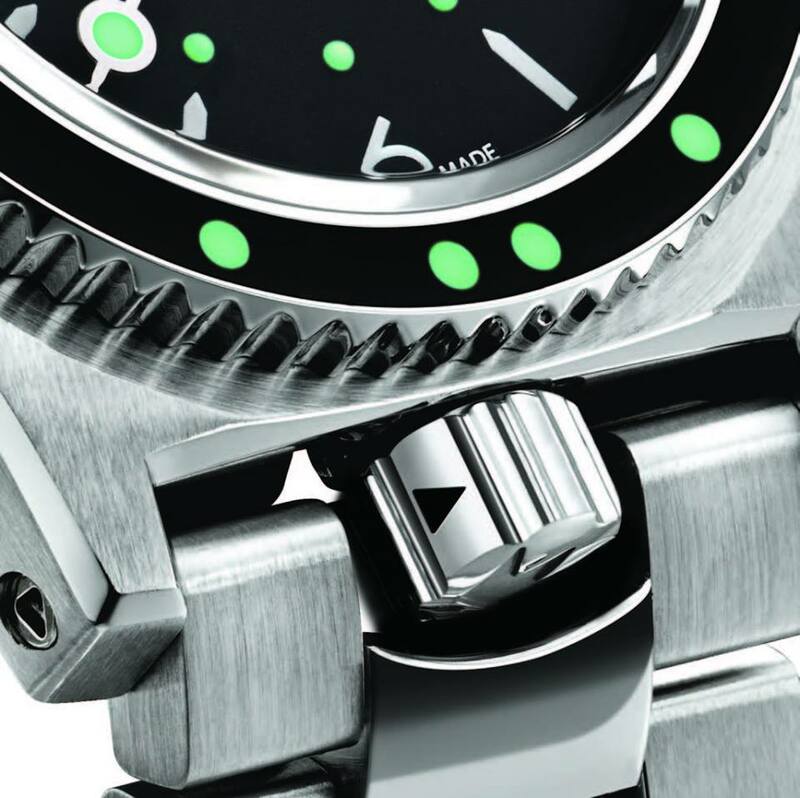 A diver were the functional design aspects give sharpness to the esthetical part of the watch and – if inspected well – does this a lot better than most of its competitors. Nowadays we see a lot of investors, business men or rich people with too much time re-launching old brands or specific models. However there is something different to this story. We can call the ZRC an never-ending family adventure. Beginning with two men: MR. Edmond Zuccolo and Mr. Joseph Rochet, who founded Zuccolo Rochet Company in Geneva in 1904. True prodigies they invented the very first extendable watch straps for which they filed patents and were rewarded with the first prize for innovation in Geneva in 1917. ZRC expanded their expertise to watch straps, watch cases and jewellery. Nowadays the company is managed by the 4th generation. In 2015 they decided to make a comeback as a watch brand by launching the iconic ZRC Grands Fonds 300 model. Now, I don’t know about you, but in my opinion this is already a perfect story for a movie or a book. 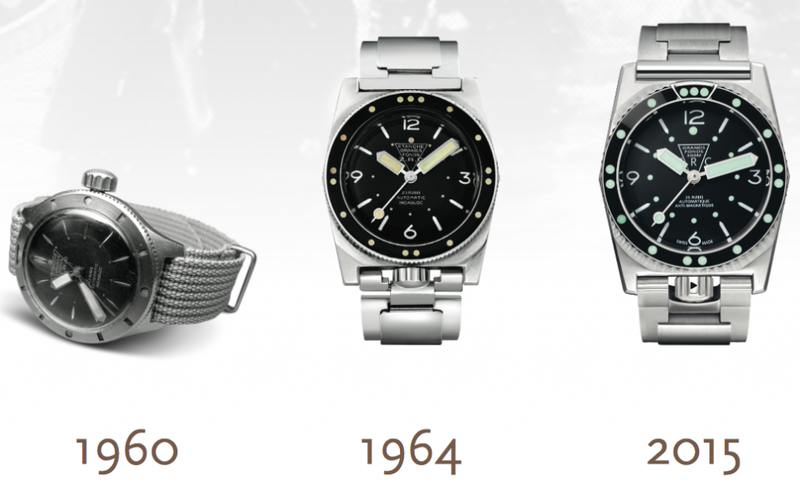 History of ZRC Grands Fonds 300 watch. 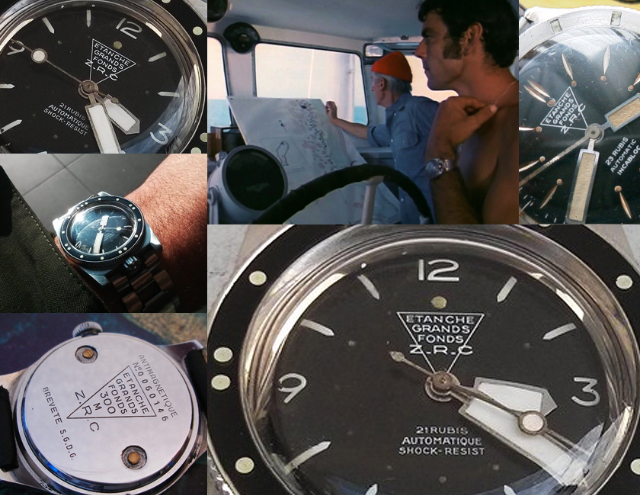 In the early 1960’s, Mr. Louis Brunet (son in law of Mr. Joseph Rochet) and the Annecy diving team – with the support of local figures such as Louis Servetaz and Mr. Bouchet – launched plans for an affordable and efficient diving watch. ZRC sales supervisor Mr. Bourdarian worked alongside Mr. Pastre and Mr. Digne, then watchmakers in Toulon, who specialized in commercial relations with the French Navy. Together, they formed a partnership to develop the Grands Fonds 300 watch. 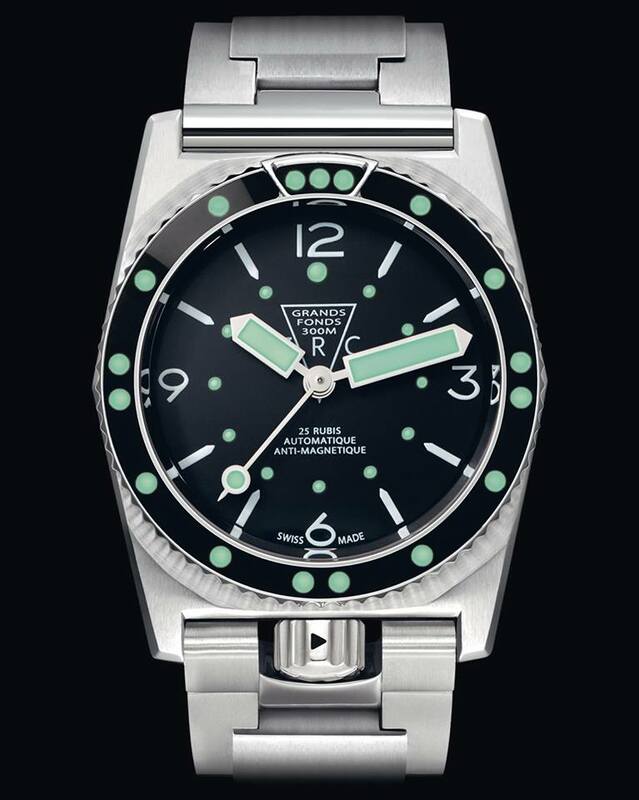 Following its referencing of the first watch, the French Navy explained to the designers that the crown located at 3 o’clock posed a problem, as it was too vulnerable during underwater manipulations. Thus ZRC had to come up with a solution to protect the crown without impeding wrist movement, and above all, to ensure it could not open under water. The team resumed their work and developed the famous crown at 6 o’clock, connected to the case using an exclusive system consisting of a machined canon, making the Grands Fonds the first and only watch to be equipped with a 100% single-piece case. Furthermore, the case is machined from a particular type of steel reinforced with magnesium that is completely non-magnetic: an absolute necessity for the mine clearance divers of the French Navy. ZRC developed an exclusive retractable lug specific to the space between the horns, which only allows the crown to pass through or the strap to rotate in the closed position, making submerging the watch impossible if the crown is not ZRC fully screwed down. Following the success of the Grands Fonds 300, ZRC has decided to continue the adventure by re-releasing a new Swiss-made version of this revolutionary watch. And the best part of this re-releasing is that they’ve kept it so close to the original design, the re-edition is 100% faithful to the model produced in the 1960s for the mine clearance divers of the French Navy. A more chic sport version, tying in with the current design trends and conventions, which has the same case, with its famous crown at 6 o’clock and bezel with luminous inserts. 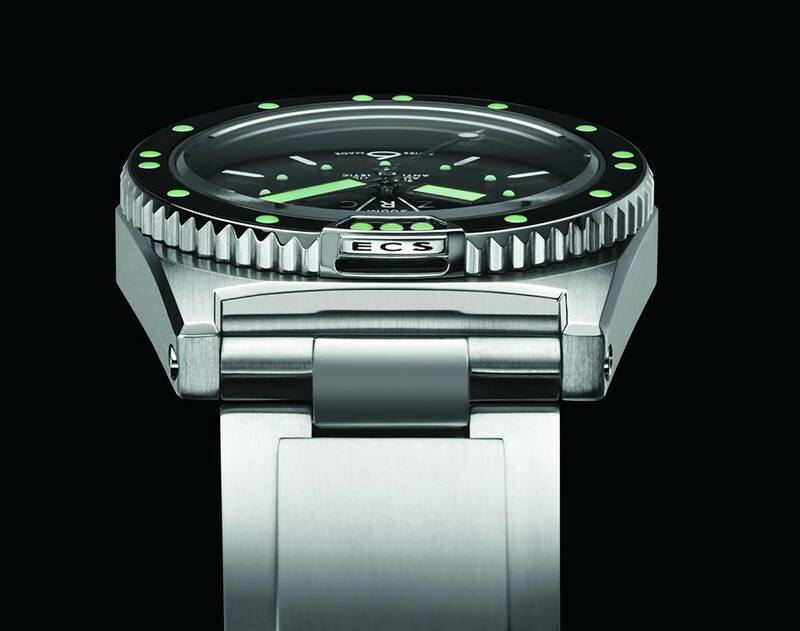 I mean ‘LUMINOUS’ – this watch will light up an ocean trench easily. It is a diving watch par excellence, with great diving legibility provided by its super luminous hands, its crown at 6 o’clock protected by the CPS© (Crown Protection System), ETA movement, unidirectional notched bezel, reverse direction winding mechanism and diver’s strap. The new Grands Fonds 300 proudly asserts its original identity. Moving from a case diameter of 36 to 40.5 mm, which is more in line with current trends, the watch has been given a domed anti-reflective sapphire crystal. The addition of chamfers to the case/strap ensemble makes it very pleasant to wear. With its clean lines and sleek esthetics, the new Grands Fonds 300 pays homage to its heritage and represents a perfect fusion of tradition and innovation. But if you ask me what I would do when I have the choice between buying a new ‘homage’ or buying ‘original’ vintage.. okay, nothing more to say because I know you share my opinion. If not, you’re always wrong. Not convinced? 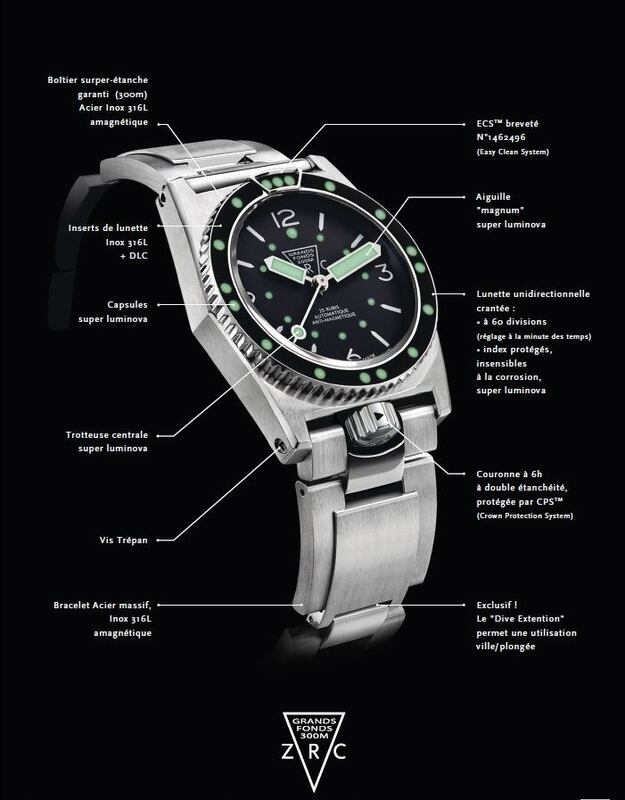 Take a look at the vintage version of the ‘Grand Fonds Diver’ – unfortunately it has already been sold. 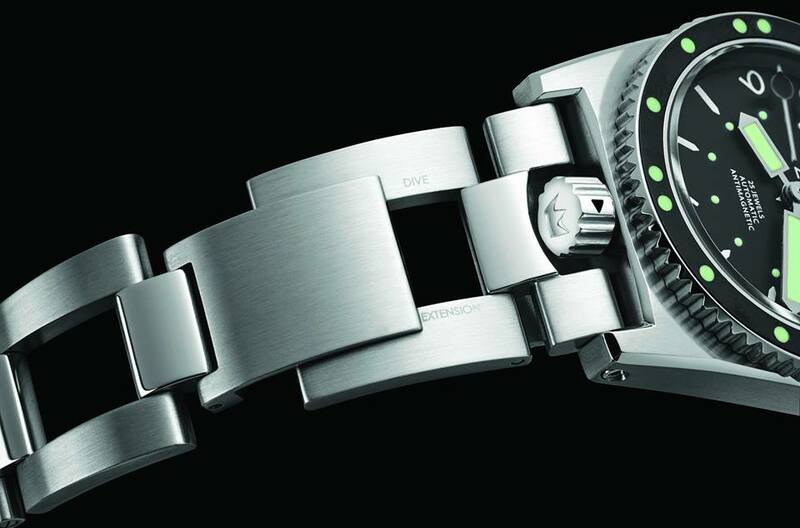 The original watch was also powered by an ETA movement caliber 2452, a frequently used caliber at that time. The new ‘Grands Fonds 300’ is also powered by an ETA, a caliber 2824. Some people get a bad taste in there mouth when they here the tree letters E T A. I think there’s nothing wrong with a sound movement, but it must be in balance with the price. And at this point I’am not sure if the ‘Grand Fonds 300’ is in balance. Coming in with a consumer price of €2.990 for the steel bracelet version (GF40163). Anyhow it may not be the most spectaculair movement ever, but this diver has realy cool and functional features developed by ZRC. As I said earlier, this diver stands out and that’s definitely worth overthinking. The ECS™ is a technical solution to an issue encountered by the mine clearance divers of the Marine Nationale during their many dives: salt crystallizing in the gaps between the bezel and case, thus impeding its rotation. For the 2015 re-issue of the Grands Fonds 300, ZRC has developed and patented a functional solution – the ECS™ was born. A unique system for cleaning the inside of the bezel by circulating fresh water that dilutes and evacuates the sea salt. The ECS™ is the ultimate tribute to the original Grands Fonds and is perfectly in tune with the brand’s identity. 100% safety is guaranteed thanks to this exclusive strap system using retractable lugs. It is now impossible to place the watch in water without screwing the crown back into its original position. If the crown is not screwed down, the strap cannot be correctly repositioned. This effective method prevents oversights that can lead to technical difficulties. 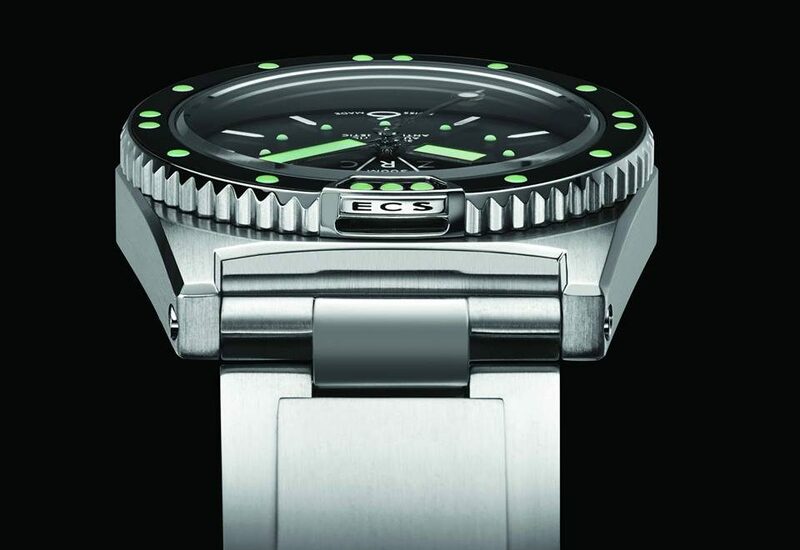 The new Grands Fonds 300 is equipped with an automatic adjustable strap, which allows it to be worn over a diving suit. This unique embedded spring system automatically adapts to the diameter of the wearer’s wrist for unparalleled comfort. No adjustments are required, as two links on either side of the case extend to accommodate the new diameter.